On the outside of your elbow is a bony distinction that is called the lateral epicondyle. If there is tenderness at this point, then you most likely have tennis elbow. If you press on the inside of your elbow, there is another bony prominence. We call this the medial epicondyle. If you are experiencing tenderness here, it is likely the medial epicondylitis. This is more commonly known as golfer’s elbow. Generally, there are a few things that you can do to alleviate your elbow pain. Heavy Objects – Avoid lifting and gripping to allow your elbow to rest and recover. 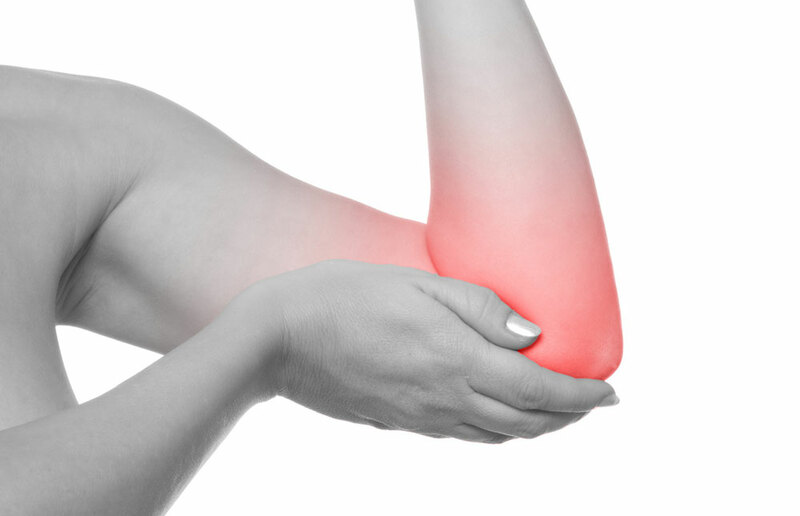 If an action is causing elbow pain, continuing the movement may worsen the condition. Stretch – Perform gentle stretches to the forearm. These stretches should be performed 3-5 times per day. Physical Therapy – This can help restore the mechanics of the elbow joints that allow it to move efficiently and help to minimize the strain on your elbow. Modalities –Ice, ultrasound, phonophoresis or iontophoresis can help decrease inflammation.